All good things must come to an end, and so it is with my time at the School of Geography and Environmental Science, Monash University, Melbourne. I must thank my colleagues at Monash for enriching the past 11 years in so many ways. Thanks to the diversity of characters who graced the School of Geography and Environmental Science, I can read pollen diagrams, make sense of Lefebvre’s ideas on the production of space, understand Melbourne’s ‘cool change’ weather and the challenges of climate science, pronounce the ‘adjectival’ in ‘non-adjectival geographer’, and I no longer tuck my shirts in (thank you, Jon-O). Before I skipped out of town I had my last flat white at The Den, under the Matheson library, the wind tunnel where I have fond memories of spirited discussions over coffee – wearing scarves and daggy hats and all – with Priya Rangan, Paul Rogers, Lauren Costello, in the winter of 2003. That’s the same season during which I was initiated to the physical geography field trip to Rawson, freezing in all my layers in an unheated motel room shared with Stephen Legg. I never knew Australia could be so cold until I met my first office S112 Menzies. 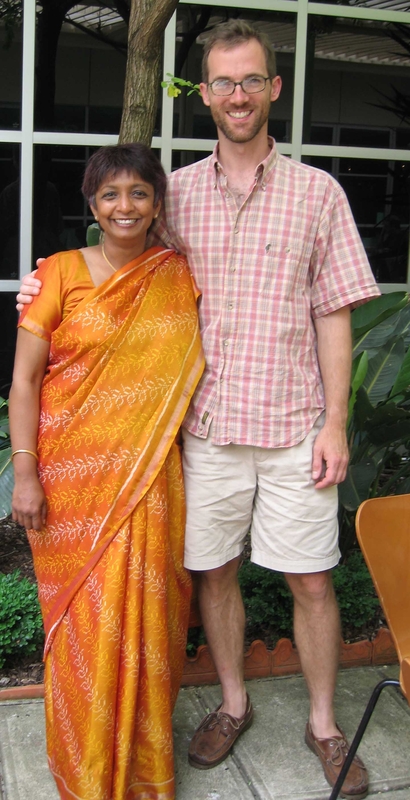 Particular thanks goes out to Priya Rangan for an inspiring, fruitful, and unique partnership in teaching and research. What a pleasure to work with Priya, who is incessantly creative, a visionary, a fluid writer, and the most generous soul around. From the opportunity to contribute to the South Africa field studies program, to teaching development studies (“Power and Poverty”) together, to always being challenged by her voracious intellect and readings on post-humans, molecular genetics, historical linguistics, development theory, and more, I feel I’ve learned so much. We will still be collaborating long into the future, I hope. Thanks to all, then, for a good decade, including all my colleagues (from plane-flying Jason Beringer to hallway cricketer Libby Porter, from miracle coordinator Adeline Tay to hallway bike rider Craig Thorburn, and everyone else), diverse support staff members (from cartographers-photographers-artists Kara Rasmanis, Gary Swinton, and Phil Scamp, to make-life-easier administrators like Bianca Roggenbucke, Shane Revell, Heather Fletcher, Stephanie Keough-Shine, Diane Fraser), fellow riders on Bus 630 from Elwood (Chris Fayers, Dirk Baltzly, Wendy Stubbs, Diana Arbeluiz-Ruiz, Ben Iaquinto, Simone Murray), fellow residents of different corners of the Menzies building, and last but certainly not least, students past and present too numerous to list. 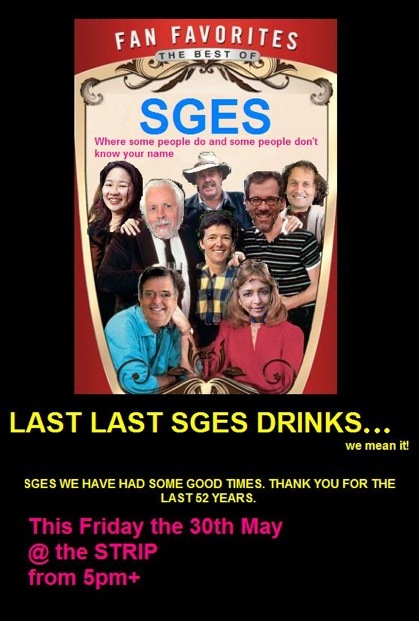 Now, some people will naturally ask whether my departure has anything to do with the messy ‘restructuring’ of GES. The answer is no. My new job in Switzerland arose independent of this, and I would have gone anyway. However, I must admit that the events of the past year leave a bitter taste in my mouth, and make it easy for me to go. All good things have, indeed, come to an end. This entry was posted on Friday, November 28th, 2014 at 11:05 am and is filed under Teaching. You can follow any responses to this entry through the RSS 2.0 feed. You can leave a response, or trackback from your own site. Christian, congratulations on your new post. It was always a pleasure riding with you on the 630 bus! Your company certainly made those hrs up and down North road all the more bearable. Bon chance to you and Federique and the boys in SUI. Well we arrived at the same time and kinda left at the same time. I hope Swutzerland is a wonderful new chapter for you and yours!